Heard the term ‘architrave’ being thrown around and not quite sure what it is? An architrave is the kind of design feature you might miss if you’re not looking for them, but when they’re not there, you really would notice. They can be a key factor in improving the overall look of your home by framing your windows and doors for a much more polished and detailed look. Architraves (or ‘arcs’ by those in the building industry) refer to the moulding used to frame around a doorway or window. 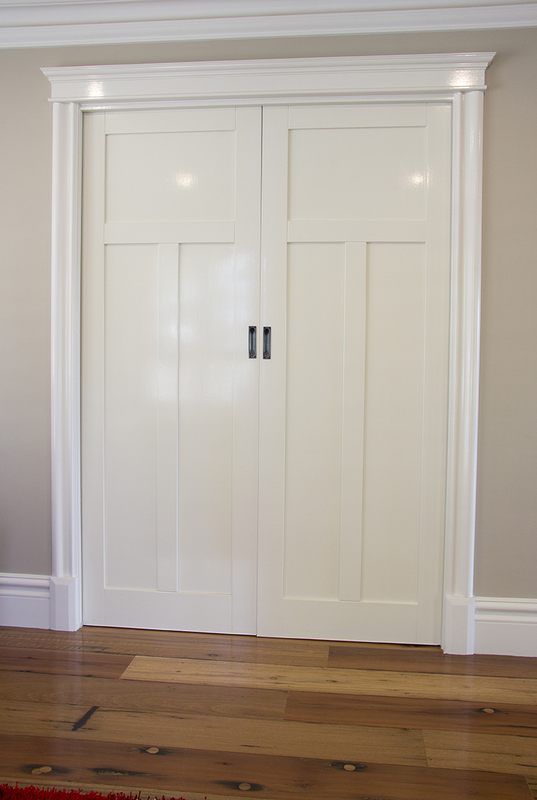 Architrave designs can be clean and simple, or more detailed and elaborate. 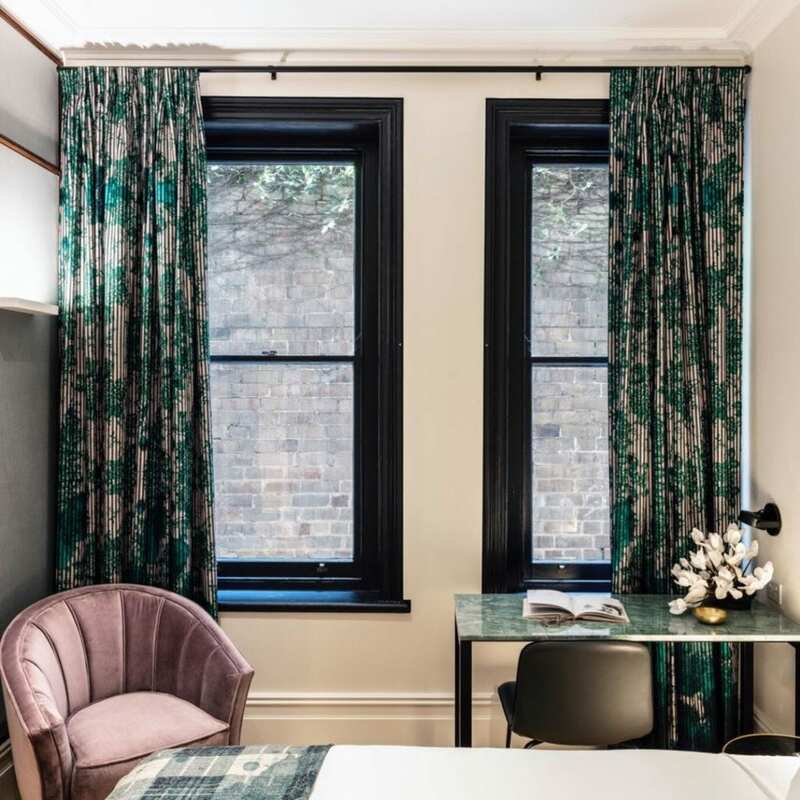 They don’t sound incredibly exciting, but stylish architrave and skirting designs really add architectural detail, texture and excitement to sometimes otherwise flat and boring walls and doors! Get inspired for your next project or renovation with these beautiful architrave designs. These grand floor-to-ceiling windows feature a complex architrave. The bold architrave and wind out glass panels give the windows a traditional feel. 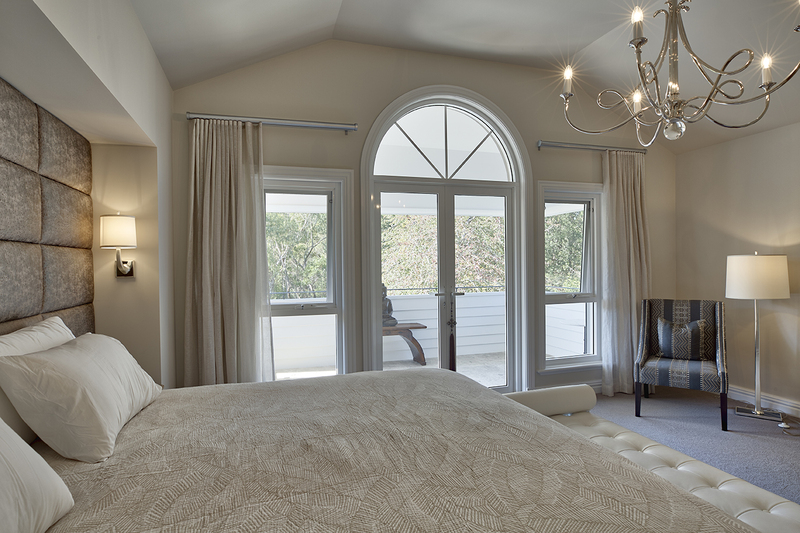 The addition of an arched window above extends the window skywards to the ceiling, letting a generous amount of light into the room and framing the beautiful view. Soft furnishings and touches of pewter splash a little bit of femininity and softness into the space. 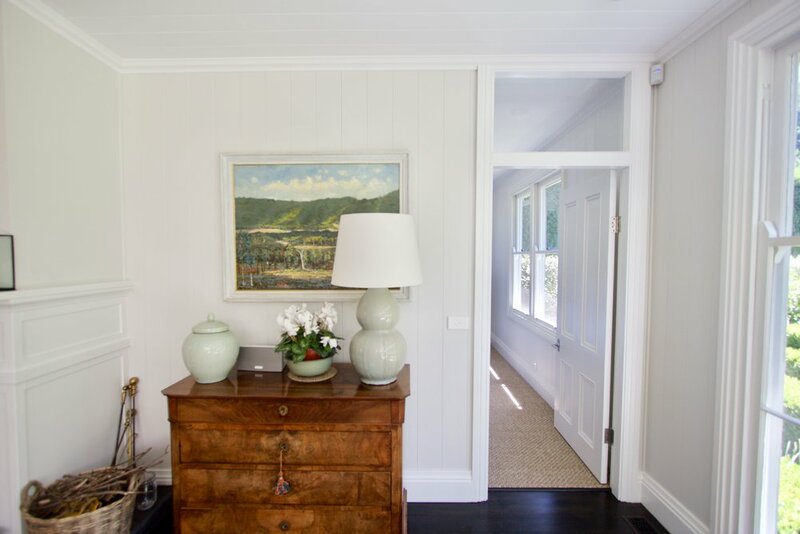 This large, light-filled entryway feels spacious and inviting. The tall skirting, weighty architrave and windows above the interior door lends it a feeling of grandeur. The impressive double front doors are flanked by large floor to ceiling windows on either side giving the entranceway structure and depth. 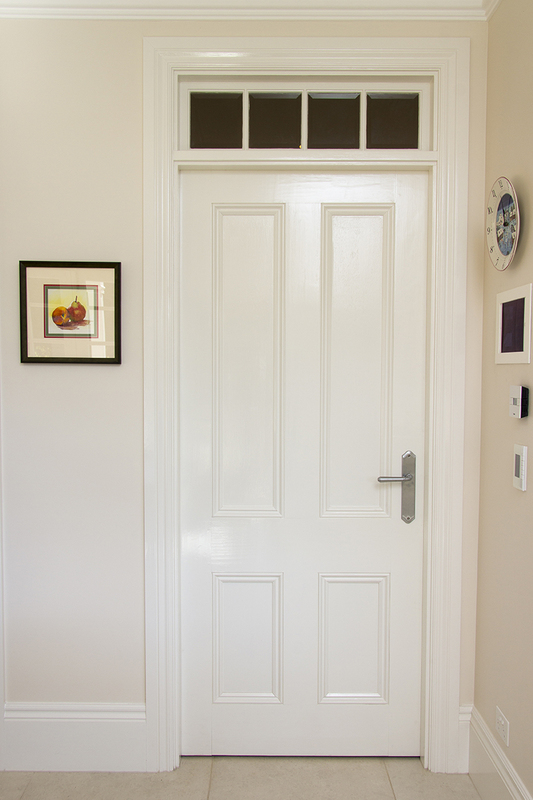 The texture the architrave provides against the white on white paint creates an eye-catching effect that is striking. Extending your architrave above the door is formally known as a ‘cross head.’ It is simple yet bold, creating a strong overall look that extends the door or window upwards, almost all the way to the ceiling, using an otherwise wasted space cleverly and giving the illusion of a higher ceiling, larger doorway and larger windows. The design is incredibly structured and square, matching the architrave surrounding the other windows and interior doors. The use of cornice mould to finish the top of the door and top of the cross head caps off the look. The inlay mould on the wall panelling blend all of the door openings together in a very beautiful way, giving flow between the rooms. Without it, the space could look very simple and plain. You could also create a similar effect using windows above the door, and framing them with detailed architrave for a more traditional look. This magnificent entranceway contains some beautiful architraves, not to mention skirtings and wall panelling. 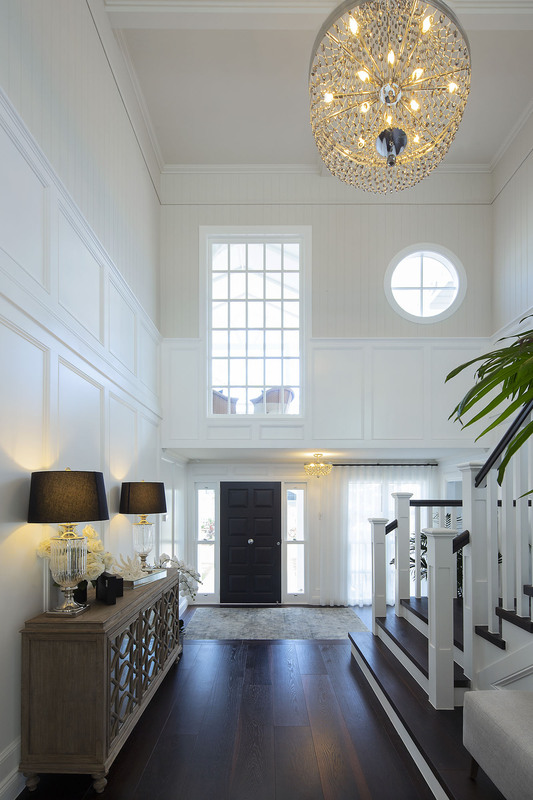 A large foyer such as this needs a lot of light, and this is certainly achieved with the Colonial style windows on the side of the entrance door, the large French inspired topper and round Hamptons inspired windows above the large interior door, and surrounding architrave. Further texture is achieved with the addition of lining boards and wainscoting wall panelling. In addition, light streams in onto the stair case through more lower floor windows with beautiful architraves surrounding them. All this light complements the rest of the design style, balancing the very dark stained wood floor and staircase. The architrave around this window is simple yet effective, making the window itself the real feature in this room. The architrave simply serves to enhance the window and create some depth in this modern art deco styled room. The overall look is simple, yet undeniably effective. 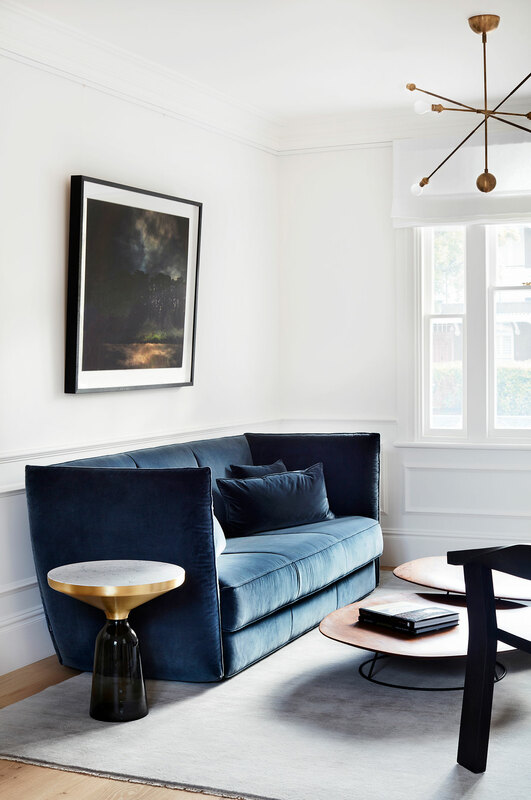 The rest of the room is modern and understated, the couch being the only real pop of colour and texture created from wainscoting. 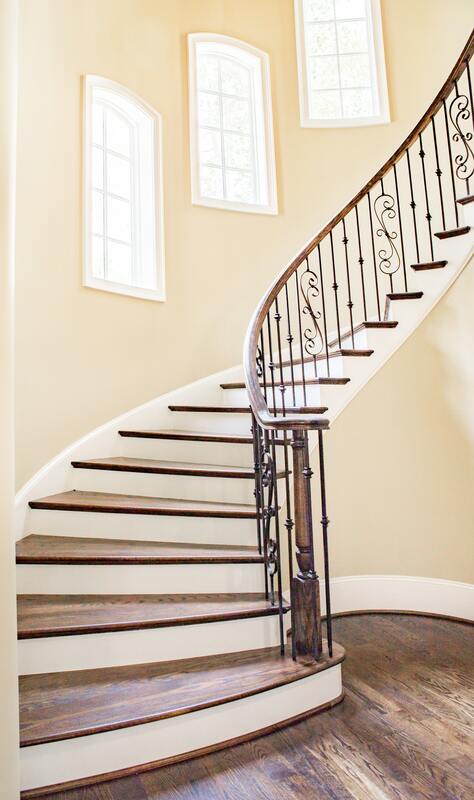 This beautiful staircase is bathed full of light with these stunning windows and architraves. Curved staircases can often feel quite confining without windows, so these ones bring some welcome freshness into what would otherwise be a flat, albeit curved, wall. The grid design, deep frame and architrave surrounding the windows give them depth which, adds another dimension to the staircase. The cream coloured walls and bright windows lighten up the deep wooden staircase, creating a lovely juxtaposition between light and dark. This beautiful corridor goes on and on, as far as the eye can see. 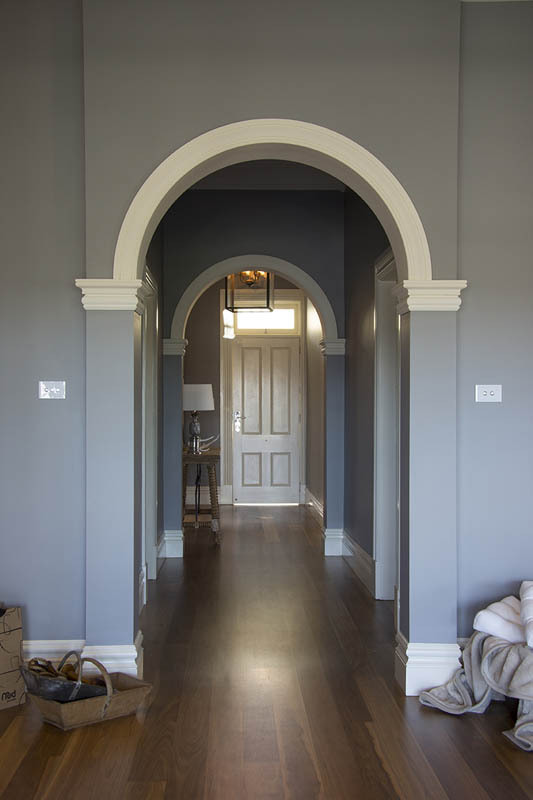 The wide space is framed elegantly with simple curved architraves and corbels which create continuity and break up what would otherwise have been a very plain corridor. The white architrave pops against the coloured walls giving a stand out feature. 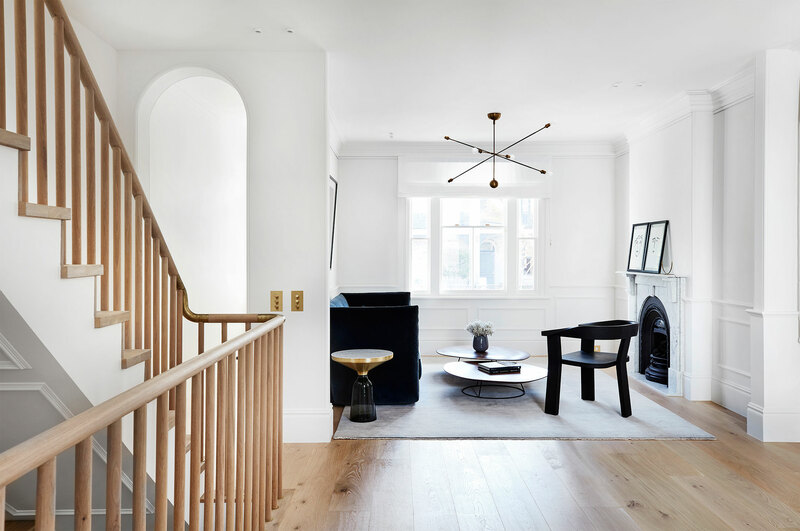 The modern pendant brings light into the space which is otherwise a little dark without much natural light, and the dark polished wooden floors contrast fantastically with the white skirting and coloured walls. This room is simple yet unique in its design. The architrave around the windows is uncommonly painted in black, a very interesting yet effective design choice. Yet the skirting boards and wall are painted the same colour, another uncommon practice, which really makes that black architrave take command of the room. The contrast of colours and texture create a fascinating look, as does the vintage velvet pops of glam styling. The large windows create an abundance of light in the space, which means the darker colours don’t darken the room. 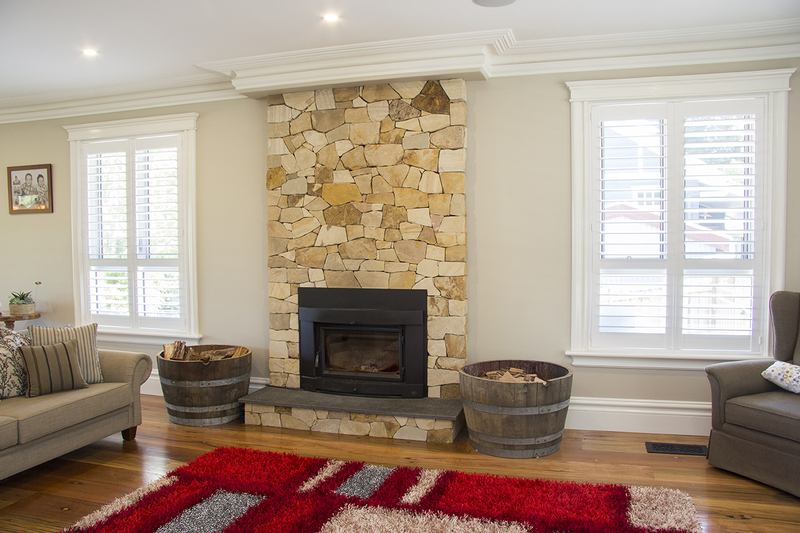 Overall, a beautiful room which blends the classic with modern to achieve a striking look. Ah, the classic black French doors, leading out onto the charming patio. Such a simple idea and yet so effective. The black doors contrast in a striking manner with the bright white architrave surrounding it and the grid design of the windows on the doors are a classic way to add texture to the doors. The architrave and skirting blends seamlessly together as one, ensuring that the overall look is nicely polished. The architrave around the door matches the windows that flank it, adding depth to the space. The warm earthy tones in the timber floors add warmth to the space and give the black doors high impact, while the rattan rug adds more colour and texture in an altogether delightful sitting room. This is a great example of how architraves can be used to create a subtler yet bold look in an otherwise neutral-coloured room. Clever design choices have been made in this room to create an overall impression of depth and structure. The ornate architrave around the door and windows creates depth against the white wall, framing a simple yet interesting window. The room is quite tight for space, so the option of styling with loads of furnishings and bold colours would only close the space more. Adding the architectural detailing in the architraves and lining boards creates style and design element without adding clutter. The light touches of grey, lavender and beige in the bedding brings a slightly feminine feel to the place that doesn’t feel overbearing. 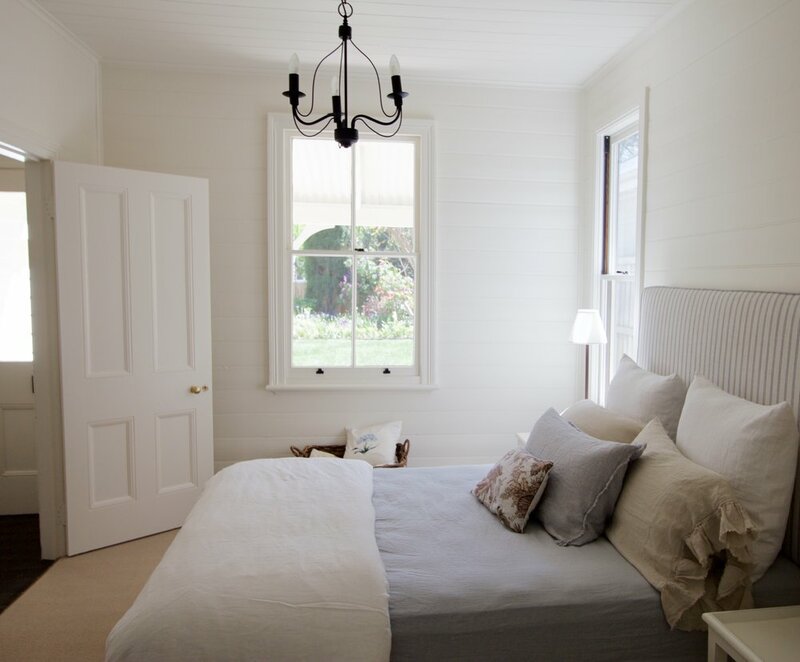 We hope you’ve seen that architraves can enhance and improve an otherwise dull room, and they could be the finishing touches that takes your room from good to great. If your walls are looking flat and dull, decorative architraves can create a striking texture. If you’re looking to find out more about architraves, or are looking to find out how to match your architraves with your skirtings, our experts can help. Contact us today to create your dream design or take your interiors to the next level.